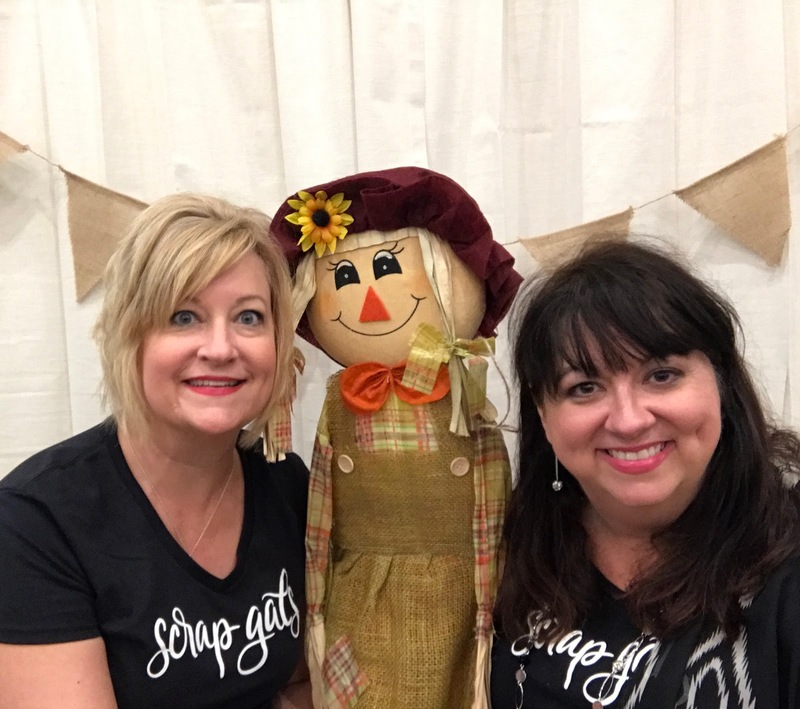 A couple of weeks ago, I co-hosted the ScrapGals Retreat in Nashville, TN. 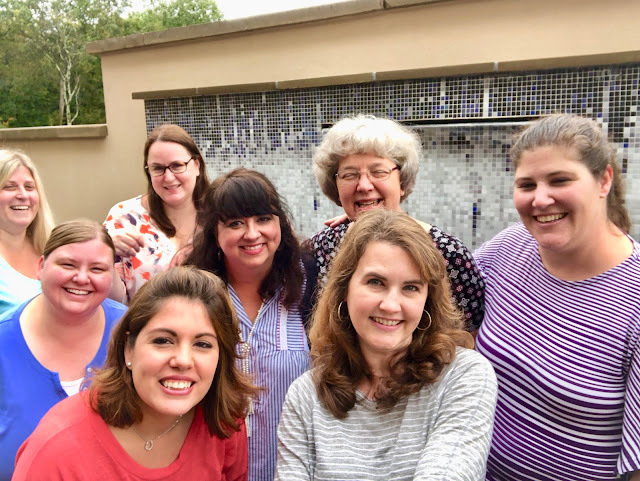 After a fun morning of sightseeing downtown on Friday as an optional kickoff to the event, the actual retreat began that afternoon around 4:00 pm and lasted until 9:00 pm on Sunday. On Friday afternoon, we worked on a "connections" traveler's notebook which encouraged attendees to get to know each other here at the beginning of the event. Sara Preston's store opened at the beginning of the retreat and would stay open the entire weekend. On Saturday, I taught my selfies class in the morning, and Tracie taught her page-worthy class Saturday afternoon. We also posed for our group photo, spent some time working on class projects, and enjoyed our pajama crop that evening. On Sunday, Jen Schow taught her class on go-to designs and totally inspired everyone with her fabulous layout examples. We spent the rest of the afternoon cropping and then closed the event with a dance party featuring Tracie's husband's band. The whole weekend, we enjoyed fabulous food, lots of laughter, and some time to be crafty. I think it was an amazing time had by all, and here are a few photos from the weekend to prove it. I would love to attend one of these retreats someday!! I recently listened to the live-taped ScrapGals episode about the retreat, which made me want to go even more, and this post with all the wonderful photos of all the fun you ladies had really, really makes me want to go! I hope I can work one into my schedule sometime soon!!! Thank you for sharing -- now all I want to do is "go and be crafty!" A very informative post. It really sparked my interest and i did not know so many things. I enjoyed reading and thank you so much for it. Do share more.